Oncology It is the branch of medicine that deals with cancer from all its aspects such as diagnosis, treatment, and supportive care. Naturopathic care is an emerging new practice that supports medical treatment of cancer. In oncology, many practitioners support cancer patients with different tools and medical skill. A medical oncologist is specialized in the treatment of cancer using systemic therapies such as chemotherapy, targeted therapy and tumour vaccines. A radiation oncologist uses high frequency and energy electromagnetic radiation for cancer treatment. A surgical oncologist treats cancer by surgical resection. A naturopathic doctor is able to support the different treatments a cancer patient may be receiving through the use of essential nutrients, herbals, and intravenous therapies. These interventions work in harmony with other systemic therapies or local radiation therapy. 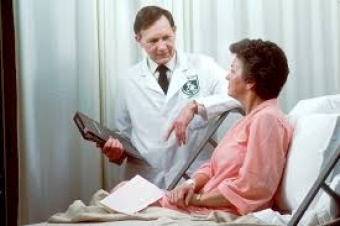 A palliative care physician uses his/her experience to mitigate the medical problems that cancer patient may develop. These are the medical centres that include all oncology physicians and naturopathic doctors who work as a healthcare team to fully support the medical care of cancer patients. Naturopathic doctors who support you during your oncology care,can help at any stage of cancer diagnosis. Starting even before cancer diagnosis, the naturopathic doctor can help you avoid possible risk factors that may be responsible for cancer such as the unhealthy lifestyle, exposure to toxins or lack of certain essential nutrients. After diagnosis, a well trained naturopathic doctor especially who dealt with cancer patients for a long time can discuss with you what should you take from the supplements/nutrients/herbs that support your energy level, fight against cancer cells and protect you from the toxic side effects of chemotherapy, targeted agents, hormonal treatments or radiation therapy. Furthermore, naturopathic doctors can look into the best approaches to the proper healthy diet and lifestyle that cancer patients need. Pain management using naturopathic approaches is another strong tool naturopathic doctors have. This can be achieved by many ways such as using acupuncture, herbal supplements and using high dose intravenous vitamin C with Iscador or Helixor.